BRIMBANK STEEL PTY LTD 42-44 DAVIES AVE SUNSHINE NTH PH 9364 5892. NEW & DOWNGRADE STEEL SALES. LENGTH: 300mm. WIDTH: 100mm. THICKNESS: 6mm. 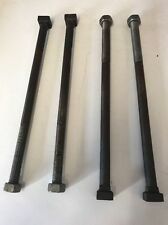 STEEL FLAT BAR. Trending at AU $15.40eBay determines this price through a machine-learned model of the product's sale prices within the last 90 days. Length- 1800mm. Width - 1200mm. Hot Rolled Sheet Steel. Product - Hot Rolled Sheet. Material - Mild Steel. Can't find want your looking for?. Length- 2400mm. Width - 1200mm. Hot Rolled Sheet Steel. Product - Hot Rolled Sheet. Material - Mild Steel. Can't find want your looking for?. Floor / Chequer Plate. Product - Floor / Chequer Plate. Length- 2400mm. Width - 1200mm. Can't find want your looking for?. Material - Mild Steel. Each sheet is about 55cm x 55cm x 1mm. 10 x shiny new galavnized sheets. The photo doesn't do these sheets justice. Length- 2400mm. Width - 1200mm. Thickness - 2mm. Hot Rolled Sheet Steel. Product - Hot Rolled Sheet. Material - Mild Steel. Can't find want your looking for?. Length- 1800mm. Width - 1200mm. Thickness - 3mm. Hot Rolled Sheet Steel. Product - Hot Rolled Sheet. Material - Mild Steel. Can't find want your looking for?. 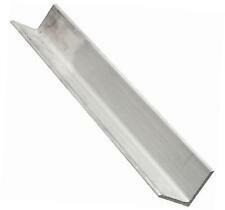 Steel flat bar-plate. Aluminium, -Plate, Round Bar, Hollow Tube, Square, Flat Bar -. 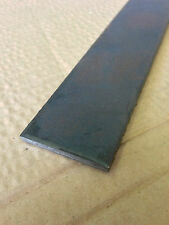 Steel -Plate, Flat Bar -. Brass -Rod -. Trending at AU $12.36eBay determines this price through a machine-learned model of the product's sale prices within the last 90 days. WE CARRY A FULL RANGE OF PAINTED & GALVANISED SQUARE TUBE & PIPE. LENGTH: 300mm. WIDTH: 100mm. THICKNESS: 10mm. STEEL FLAT BAR. Floor / Chequer Plate. 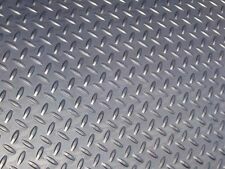 Product - Floor / Chequer Plate. Length- 2400mm. Width - 1200mm. Thickness - 3mm. Can't find want your looking for?. Material - Mild Steel. We may be able to help you. Our facilities can cut, shear and prepare material to specifications for a fee. The advertised price is for one item. Length- 2400mm. Width - 1200mm. Thickness - 4mm. Hot Rolled Sheet Steel. Product - Hot Rolled Sheet. Material - Mild Steel. Can't find want your looking for?. Length- 2440mm. Width - 1220mm. No. 2B Finish. This produces a more reflective finish that resembles a cloudy mirror. No. 2B is a general purpose cold rolled finish commonly used for all but exceptionally difficult deep drawing applications. Width - 1250mm. Length- 2400mm. Thickness - 6mm. Hot Rolled Sheet Steel. Product - Hot Rolled Sheet. Material - Mild Steel. Can't find want your looking for?. Length- 2400mm. Width - 1200mm. Thickness - 3mm. Hot Rolled Sheet Steel. Product - Hot Rolled Sheet. Material - Mild Steel. Can't find want your looking for?. Multi Use, DIY. Hornsby Steel- Steel Base Plate/Connecting Plate. Mild Steel Base Plate/Connecting plate. Made from premium quality Steel. Size: 200 x 200 x 10mm. Width - 1250mm. Length- 2400mm. Hot Rolled Sheet Steel. Thickness - 5mm. Product - Hot Rolled Sheet. Material - Mild Steel. Can't find want your looking for?. WIDTH: 50mm. THICKNESS: 5mm. STEEL FLAT BAR. WIDTH: 20mm. THICKNESS: 3mm. STEEL FLAT BAR. WIDTH: 25mm. THICKNESS: 5mm. STEEL FLAT BAR. LENGTH: 300mm. WIDTH: 50mm. THICKNESS: 5mm. STEEL FLAT BAR. We may be able to help you. The advertised price is for one item. Our facilities can cut, shear and prepare material to specifications for a fee. LENGTH: 300mm. WIDTH: 75mm. THICKNESS: 10mm. STEEL FLAT BAR. LENGTH: 300mm. WIDTH: 75mm. THICKNESS: 8mm. STEEL FLAT BAR. LENGTH: 300mm. WIDTH: 75mm. THICKNESS: 6mm. STEEL FLAT BAR. 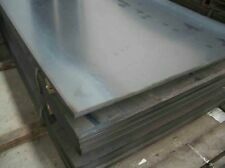 1 Sheet Mild Steel Chequered Plate - 2400mm x 1200mm x 3mm - High Quality Fast Shipping. SIZE: 200 X 200 X 8 MM THICK. BASE PLATE. OPENING HOURS: MON - FRI (8 am - 4.30 pm) & SAT (8 am - 12 noon). The most stylish tactile in our range. Manufactured from polished 316 Marine Grade Stainless Steel, these tactile plates are easy to install with just 4 fixing points per 300 x 300 tile. Which Tactile Should I Choose?. 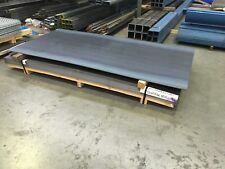 1 Sheet Mild Steel Chequered Plate - 2400mm x 1200mm x 2mm - High Quality Fast Shipping.